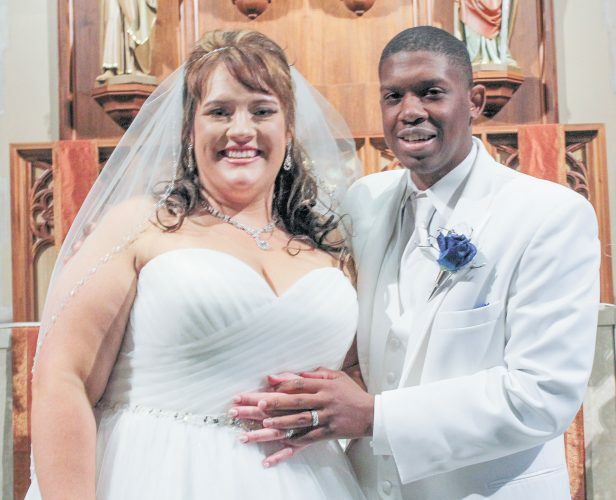 Leah Miller and Joey Diehm exchanged wedding vows at 1:30 p.m. Sept. 12, 2015, at St. Joseph Catholic Church, Tiffin. The officiant for their double-ring ceremony was the Rev. Joe Szybka. A reception followed the ceremony at Meadowbrook Ballroom, Bascom. The bride is the daughter of Matt and Christine Miller of Republic. The groom is the son of Marvin and Tami Diehm of Attica. 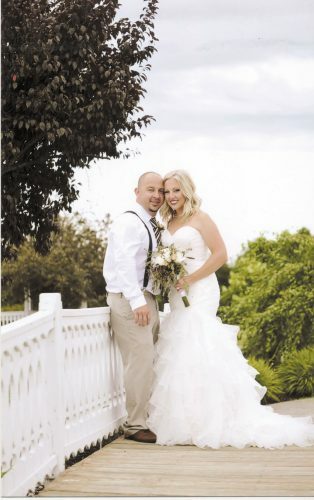 The bride, given in marriage by her father, wore an ivory, A-line, fit and flare gown with a beaded sweetheart neckline. Lace covered the bodice and flowed into the train. A sunburst, beaded applique with a satin band around the waistline accented her dress along with a waltz-length ivory veil. She carried a bouquet of white roses, garden roses and freesia accented with broaches throughout belonging to Leah’s and Joey’s grandmothers. Bridesmaids wore one-shoulder, knee-length, canary yellow dresses with lace bodices and chiffon bottoms and carried bouquets of white roses and yellow freesias with accent broaches on each handle. 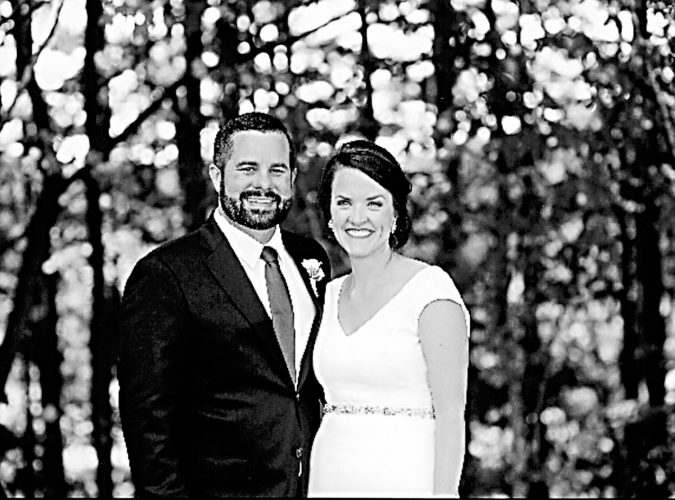 The matron of honor was Stephanie Dawson of Republic, sister of the bride, and maid of honor was Erin Porter of Studio City, California, friend of the bride. Bridesmaids were Jade Rotill of Akron, friend of bride; Chelsea Wolpert of Republic, friend of bride; Elizabeth Heibertshausen of Milwaukee, Wisconsin, friend of the bride; and Kristy McMurray of Caldwell, friend of bride. Flower girls were Addison and Haylee Dawson of Republic, nieces of bride. The best man was Billy Diehm of Attica, brother of groom. Groomsmen were Andy Ruffing of Attica, friend of the groom; Jake Lamoreaux of Columbus, friend of the groom; Josh Stallings of Attica, friend of the groom; Jeremy Everhart of Findlay, friend of the groom; and Johnny Diehm of Attica, brother of the groom. The ring bearer was Levi Dawson of Republic, nephew of bride. 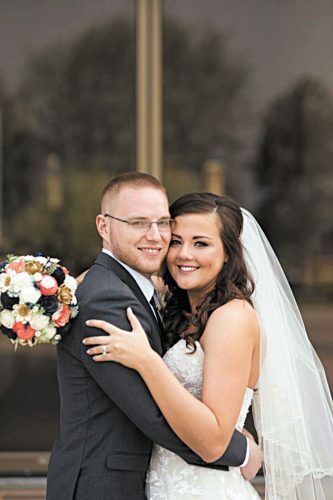 The bride is a 2009 graduate of Seneca East High School and a 2013 graduate of University of Akron and is a sales assistant and wedding planner. 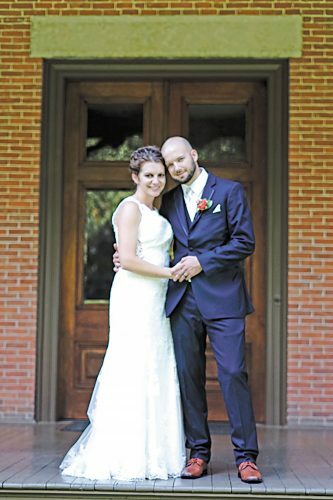 The groom is a 2009 graduate of Seneca East High School and a 2013 graduate of University of Akron and is a pre-school teacher. The couple resides in Blacklick after returning from their honeymoon in Paris.